Originally produced for the exhibition Trauma, Memory and the story of Canada, Intended for you Alone is based on research into the Komagata Maru incident in 1914, especially the experiences of women who were prevented from joining their families, and whose lives were shifted dramatically in the new land. 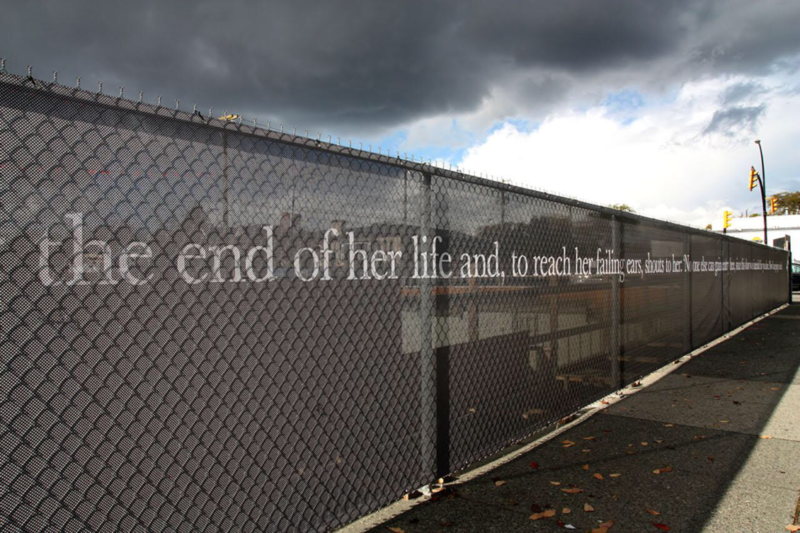 The artwork consists of a 50m banner wrapped around a construction site in Vancouver’s rapidly changing Punjabi market. The text is appropriated from Kafka’s well-known parable Before the Law; a Q&A excerpt reflects the dynamics of global migration across jurisdictions.